Halloween being past, we’re preparing for our return to the Gryphon Pub at GPSCY, Yale Campus, New Haven. Saturday 7 Nov, 9 – midnight! While their regulars have gotten largely used to us, there will be new people, too… You can come on down and show them the ropes! This entry was posted in Uncategorized on 30/10/2015 by JosMorn. 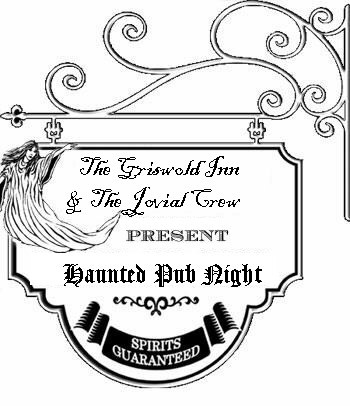 Monday – 26 of October – will be our Jovial Crew Halloween night! Always the best way to raise your spirits!! It would be horrible should you attend without proper attire so come your ghoulish best! SPREAD THE WORD!!! This entry was posted in Uncategorized on 24/10/2015 by JosMorn. Cliff is back and it’ll be the observing of Rick’s birthday! The nights are noticeably colder and so coming inside with us for music, drink, camaraderie… What better way to spend Monday night? Next Monday will be our Halloween observance so this is your heads-up… Or heads-off, if you like. Patrick will likely be filming that night so dress yer best! This entry was posted in Uncategorized on 18/10/2015 by JosMorn. No worries, I guess! It seems that the hurricane has decided to take an Atlantic cruise and all we are getting is the wind/rain/cooler temps of autumn. So Monday will be a GREAT reason to come down to the Gris where it’s warm and dry with good company and great beer! Oh, yeah – stellar singing and music! 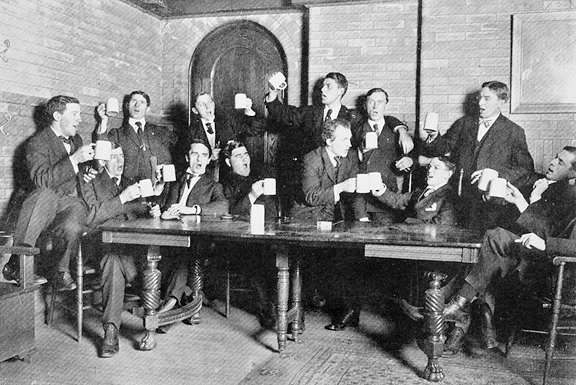 Pub Sing – Univ. of Buffalo Alma Mater. This entry was posted in Uncategorized on 03/10/2015 by JosMorn.